To fight against catastrophic climate change, BC needs to reduce greenhouse gas (GHG) emissions to near zero before 2050. The Climate Justice Project (CJP) calls this a “green industrial revolution” that will have transformative impacts on the economy and society. Past industrial revolutions, however, have caused great upheaval and hardship, with some sectors of society bearing a terrible burden. 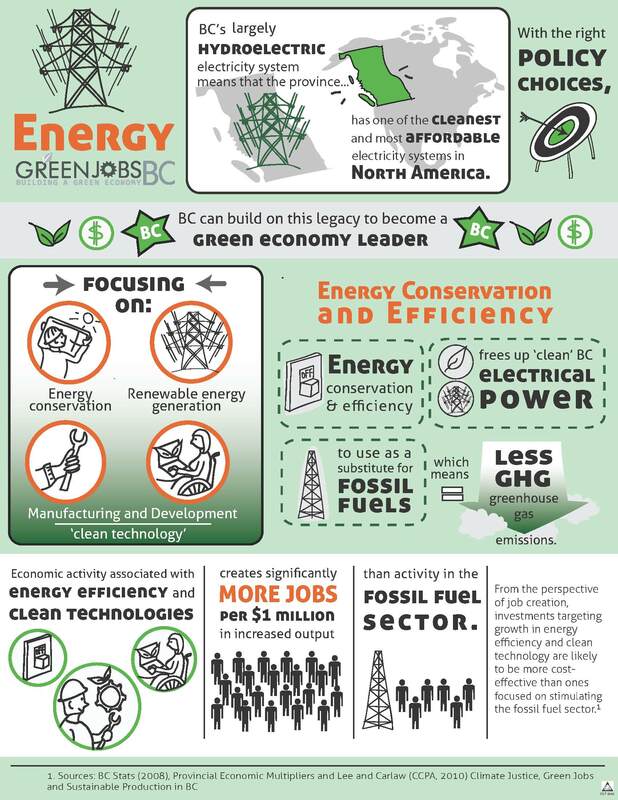 This module starts with BC’s economic history of resource extraction, then shifts to ideas for creating new green jobs to achieve climate justice. 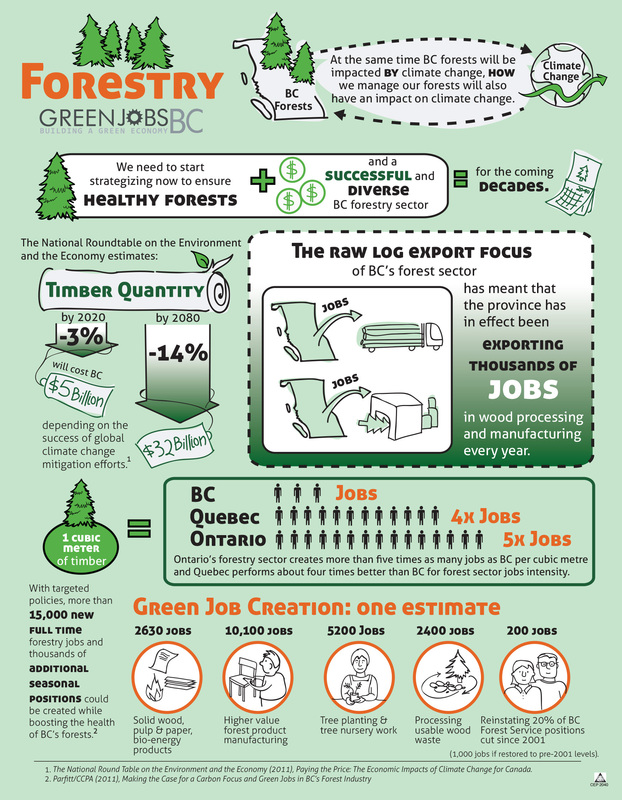 A key resource for this lesson is the CJP publication, A Green Industrial Revolution: Climate Justice, Green Jobs and Sustainable Production in Canada. 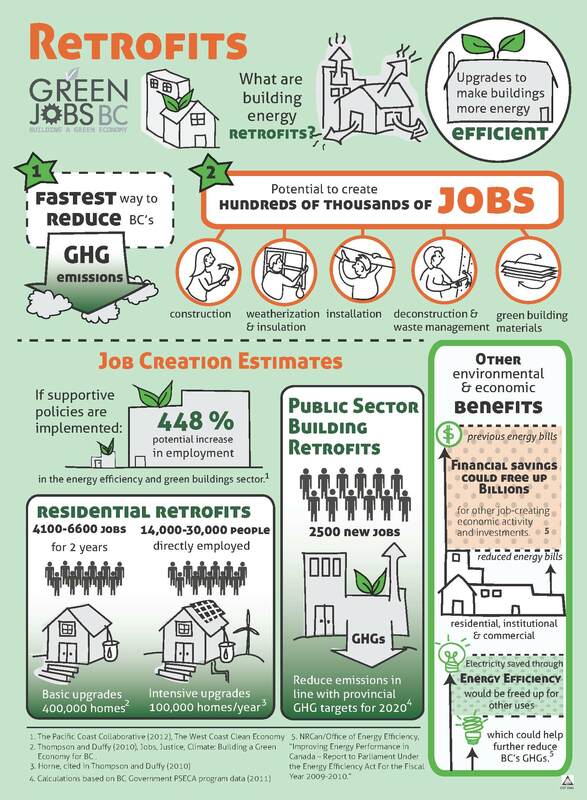 There is a slightly older BC version of this paper, Climate Justice, Green Jobs and Sustainable Production in BC. Students will review BC’s economic history and the role of resource development and exports. 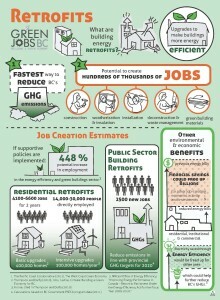 Students will recognize the benefits of a BC green jobs plan. Students will reflect on and analyze green policy proposals for building retrofits, transportation, forestry, and energy conservation and efficiency. Note to teachers: Please be sensitive to the fact that some of your students may have family members who work in the fossil fuel industry. The point of this module is not for them to feel badly about this. We are all dependent on that existing economy. The goal of this module is to understand that we all need economic and employment opportunities, and that our collective challenge is to transition to a sustainable economy with well-paying green jobs. BRAINSTORM AS A CLASS: Create a list of BC’s economic industries throughout history. What were the main economic drivers over the last few hundred years? Use prompts and questions to jog students’ memories and stimulate educated guesses. QUESTION: What thoughts come to mind when you look at this list? Much of BC’s economic past has been based on resource extraction and export. Income from these exports allows us to buy imported goods from outside of BC. BC’s economy has grown because of resource extraction, but sometimes this conflicts with climate change action. Older resource industries have established infrastructure, political power and money, and will be resistant to change that potentially impacts their economic interests. What makes a resource industry environmentally sustainable? Do all resource industries have the same potential to be sustainable? Some are renewable (e.g. forestry can be renewable if the rate of cutting is not greater than the rate at which new trees grow) and some are not (e.g. coal or natural gas reserves are finite). Who has benefited from resource development? Who has been negatively impacted or exploited? Those who have benefited may include: companies and their owners, international customers, workers who earn high wages, local businesses. Those who have been negatively impacted or exploited may include: local First Nations communities, Chinese labourers during the gold rush/railway construction, people whose water or air quality has been polluted by industrial activity. 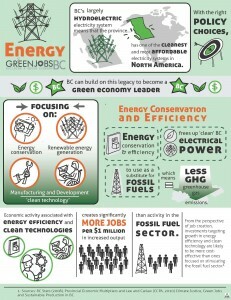 BC’s current economic strategy emphasizes fossil fuel extraction (increased exports of natural gas and coal from BC to Asia). How will this impact our GHG emissions? READ ALOUD: Forestry is an example of a local resource-based industry that can be sustainable if developed in certain ways. 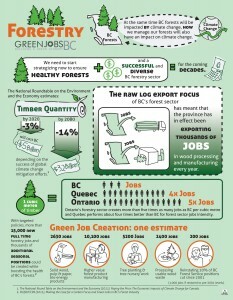 Forestry is one of BC’s most important industries and is at the heart of what built BC as a province. But forestry has also been controversial due to company practices such as clearcutting of old growth forests. Because of our vast forestry resources, existing infrastructure, skills, rich legacy and potential for sustainability, it makes sense for us as a province to reimagine how sustainable forestry can be part of BC’s future. Many BC forestry towns have experienced great prosperity, but also some very hard times. Let’s look at a video that tells the story of how we got from there to here, and what we could possibly do to turn it around. What factors contributed to the loss of Mackenzie’s forestry industry and local jobs? What actions are the people in the video suggesting the province take to revitalize BC’s forestry sector? What factors contribute to a resource industry being both economically and environmentally sustainable? What would it mean to you if the BC forestry industry was redeveloped in a sustainable way? READ ALOUD: Human societies have gone through various “revolutions” in the past that have transformed our economies and the ways we live. We began as hunter-gatherers, then, beginning several thousand years ago, many shifted to agricultural societies. About 200 years ago, the way many people lived shifted again with the Industrial Revolution. ACTIVITY: As a class, discuss what you remember as the key features of the Industrial Revolution. QUESTION: During the Industrial Revolution, who benefited from the change and who was left behind? READ ALOUD: The key challenge of climate change is to decarbonize our economy – that is, to reduce and eventually eliminate the use of fossil fuels for our energy needs. This is a massive change that has been called a “green industrial revolution” and includes shifting to clean energy supplies, using our energy much more efficiently and redesigning our communities. How to do this in a manner that is fundamentally fair is central to climate justice. 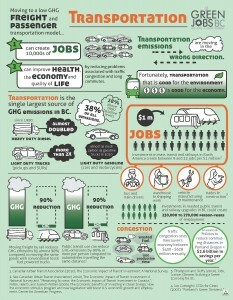 Transitioning from an unsustainable fossil fuel economy to a sustainable green economy. Fair distribution of the costs and benefits of economic transition. Implementing tools like taxes on carbon to increase the financial cost of using fossil fuels, and investing the resulting revenues in climate action. Creating well-paying jobs through systems that are designed to reduce carbon emissions, and that make communities more resilient to climate change impacts. SMALL GROUP ACTIVITY: Give each group a copy of the Elements of the Green Industrial Revolution handout (coming soon) and one of the four Green Jobs BC infographics: retrofits, transportation, forestry, energy. More than one group will have the same infographic. What is being proposed in your group’s infographic? How do the recommendations reflect the elements of the green industrial revolution? Ask groups to report back to the class with their findings and thoughts. Which groups in our society could have greater difficulties transitioning to a low- or zero-carbon BC? E.g. Low-income households, car-dependent households, workers in GHG-intensive industries. How can we ensure that no one gets left behind as we contemplate such a major shift?